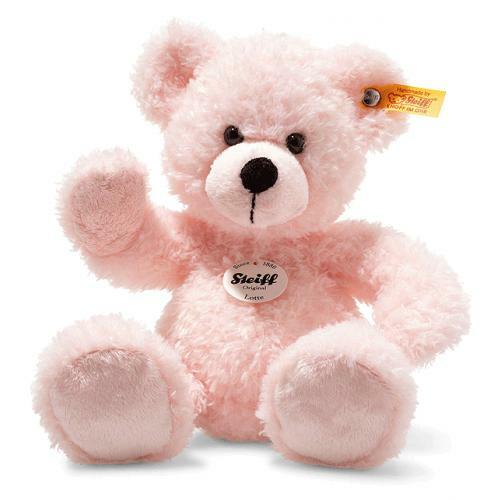 Lotte Teddy bear is a popular fluffy bear with a curly coat. His face, soles and paws stand out for their light pink accents. Around his nose, he has a nose bridge and mouth stitched carefully in black yarn. 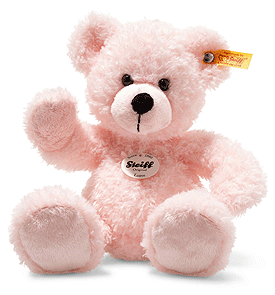 This lovingly handled Teddy bear is 28 cm tall. Bean bags in his tail allow him to sit properly. And they are also perfect for teaching your child to grasp. Lotte is also available in white.